Welcome home to 1321 Riverdale Road, an amazing Germantown home situated on 1.3 acres within walking distance of the Wolf River Greenway, that you will have to see to believe! Built for entertaining, this spacious home offers an open floor plan with impressive formal rooms, plus comfortable everyday living spaces. Quality features include gleaming hardwood floors, romantic fireplace, crown molding, huge floored attic, 6 bedrooms plus a large bonus room, handicapped accessible mother-in-law suite, granite countertops, stainless steel appliances, laundry room with cabinets and sink, resort style backyard with a gazebo and tiki hut, large double garage as well as a workshop with counter tops, cabinets, and shelving, and so much more! If you love outdoor living, whether it’s hanging with family, entertaining friends or hosting parties and showers, this is your dream home! It offers three distinct entertaining areas that all adjoin for your larger gatherings. The first area is a gorgeous gazebo with a 70 inch big screen TV that includes a lovely granite table that seats 8. This area is ideal for watching your favorite NFL game in the fall as well as entertaining or just enjoying your morning java outside while catching up on the news. The second area is a large outdoor table with a beautiful rock top that seats anywhere from 8–12. It works well for dining or projects. The third area will make you feel like you’re in Hawaii or watching a rerun of Gilligan’s Island. It’s a whimsical Tiki Hut with a thatched roof. It can seat 4–6 and has a spectacular one-of-a-kind distressed wood table in the middle for snacks or meals. All the outdoor area is surrounded by tropical plants, flowers, and a huge palm tree. Situated on 1.3 acres, there is an enormous yard below the bamboo fenced entertaining area. It can accommodate a trampoline, treehouse and bad mitten and can be used to play soccer, football or just about any sport. As you enter this amazing home you are welcomed into the gracious entry with two sets of French doors. One set leads to the office and the second set leads to the craft room. Either room would make a wonderful formal dining room as well. Enjoy comfortable everyday living in the captivating great room flaunting a romantic cozy fireplace, perfect for those cold winter nights. Cooking will be a delight in this incredible eat-in kitchen with cabinet and counter space galore, desirable granite countertops, travertine flooring, breakfast bar with pendant lighting, pantry, full complement of stainless steel appliances including a self-cleaning oven, microwave, dishwasher, double sinks, and cook-top. In addition, this kitchen offers a sunny breakfast area, which is the perfect spot to enjoy your morning coffee! Family and friends will enjoy gathering in the splendid hearth room located off the kitchen illuminated with tons of natural light beaming in through the windows, and exceptional bookcases that flank the staircase leading upstairs. You will rest easy in your romantic downstairs master retreat with a walk-in closet, and a private bathroom featuring an elongated quartz vanity, durable tile floor, and a tub/shower combination with a complete tile surround. This home offers four additional bedrooms downstairs and one more gigantic bedroom upstairs with two mammoth walk-in closets. The handicapped mother-in-law suite has a huge bathroom with granite vanity and is located off the great room allowing easy access to the common areas of the house. Upstairs you will find an enormous bonus room offering a great space for recreational fun with soft Berber carpeting. 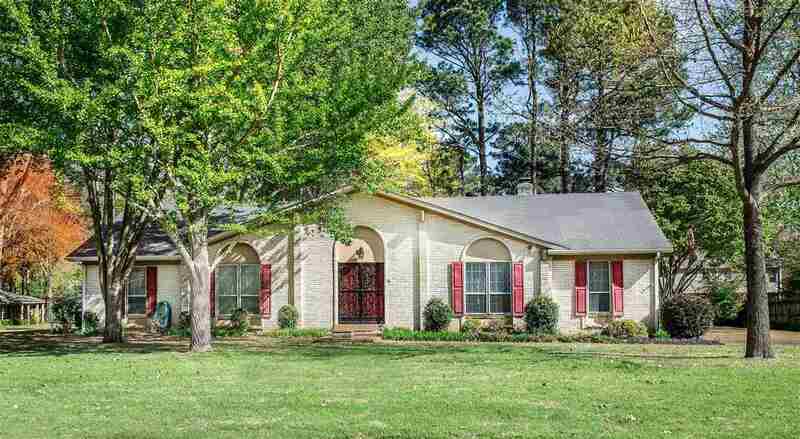 This stunning home is in the sought after Germantown School District (Riverdale Elementary and Houston High)! Do not let this magnificent Germantown home get away!